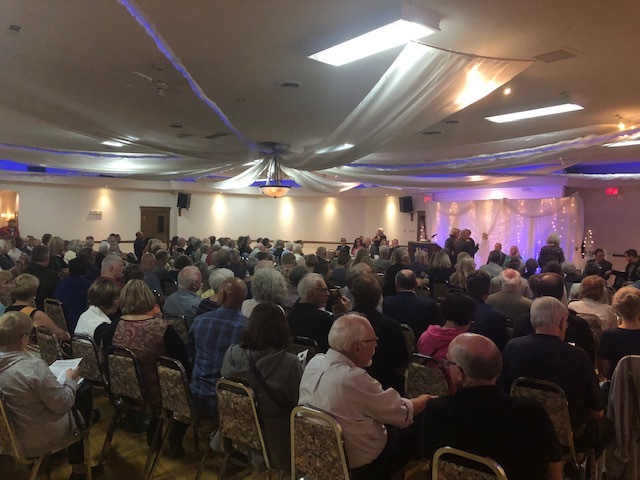 BELLEVILLE – An interest in the upcoming municipal election brought out more people than there were seats at Belleville’s Banquet Centre Wednesday evening. Belleville’s Chamber of Commerce hosted a city council meet and greet that took on a slightly different format than a traditional debate for Ward 1 candidates. Each of the 15 candidates in attendance were given three minutes to introduce themselves and speak about their platforms. They were then given two minutes to answer one of a possible seven questions drawn from a hat, which candidates were given a copy of ahead of time. Topics of discussion included: affordable housing, attracting youth and tradespeople to the city, what makes the candidate proud to live in Belleville and the need to improve customer service at City Hall. Council candidate Richard Black used part of his time to mention that he thought the format of the event was ineffective, and that it should function more as a discussion rather than candidates giving rehearsed answers to provided questions. 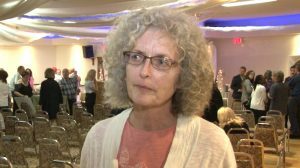 The audience groaned several times when the same question was drawn back-to-back multiple times for Ward 1 hopefuls. “It’s a great forum to see them all. I think what was best was when they introduced themselves. 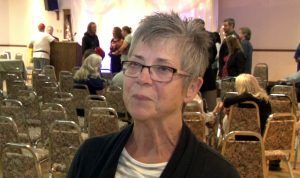 I’m not sure having the same question over and over again was really helpful after awhile,” said audience member Kathryn Wiltse. “It might have been nice to throw in a few more questions just so people can talk to different issues as opposed to something someone else has already discussed,” she added. Other audience members agreed that they wanted to hear more variety in the questions given to candidates. “The questions were unfortunately repeated too many times. The candidates handled it all well though,” said Karen Taylor. Many candidates vying for the six council spots are new to city council with only two incumbent councillors, Coun. Kelly McCaw and Coun. Garnet Thompson, running for re-election and one former councillor Pat Culhane, who previously served two terms from 2006-2014. “I’ll be curious how it all ends. I think there’s going to be big changes,” said Taylor. Online voting remains open until Oct. 19 and the municipal election is on Oct. 22. “This is where you can influence what happens with your money so it’s important that everyone come out and vote,” said Wiltse.